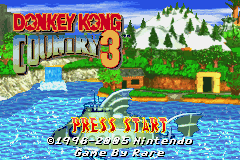 The third and final Donkey Kong Country game, remade for the Game Boy Advance. This one is notable for a completely new soundtrack by David Wise. 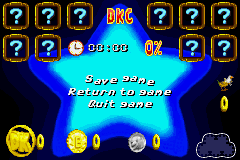 The game is also notoriously rushed, which is evident such as not having an introductory cutscene, a scrapbook mechanic, or a status screen which all existed in the first two DKC games remade for the GBA. Some audio-related error messages are present in the ROM. 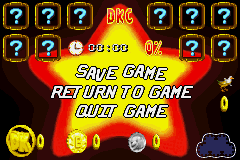 This also appears in various other GBA games made by Rareware. A significant amount of debug text is found in the game. This can be found starting at ROM offset E38FC in the European version, E2734 in the American version, or E3D78 in the Japanese version. The text has been formatted for ease of readability. Is there a way to view this text in the game? Cobra Track is likely a reference to Cobra Triangle, an NES game by Rare which Funky's mini-games are based on. The placement of the Cobra Tracks are consistent with the index numbers of Funky's mini-games, as detailed below. To access these levels, use the following code in the USA version: 03000050 000000??. Replace ?? with one of the below values, then choose any stage. If the bytes at the address 00870350 are changed to 31 or 9 on the main map, it is possible to enter the Sprite Grid. The pause menu is disabled, and all you can do is move around the two ski-lift sprites to all angles. It uses Stilt Village for the song. In order to access this one, you'll first need to enter a bonus game, then enable the code. Once the bonus level ends, you'll be warped to what little remains of a test map which just displays a glitched background. "Trev" is likely head programmer Trevor Attwood. By changing one of the bytes in ROM offsets 91DCA, 91DCE, 91DE2, or 91DE6 (American version), 92B9E, 92BA2, 92BA6, or 92BAA (European version), or 93042, 93046, 9304A, or 9304E (Japanese version), Funky's mini-games in the Extras screen (accessed by entering the EXTRAS cheat on the main menu) can be changed. 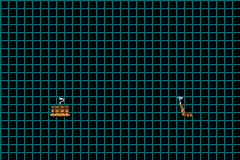 While B7, B8, B9, and EA are values for used Funky mini-games, EB is a placeholder mini-game. 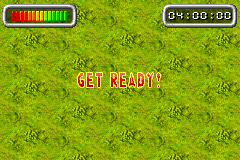 The mini-game itself is unfinished -- it only consists of a grassy terrain with no place to use your boat, and the mini-game ends with a "MISSION END" message just after it starts. Despite the American version being released after the European version, it appears to have been based on an earlier build as it contains more bugs. In the US version, when you touch a flagpole completing the level for the first time, you can pause the game and exit the level as if you had already completed the level and come back. This was fixed in other versions. 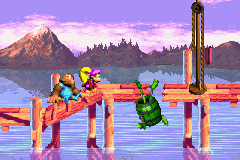 A glitch involving Knocka in Tidal Trouble, exclusive to the American version of the game. At the end of Tidal Trouble, near the flagpole, part of the floor can be broken by throwing Kiddy; doing this reveals a 1-Up balloon below. In the American version of the game, there is a glitch where you can lead a nearby Knocka down this path. If he falls down here, he floats in mid-air. In other versions, this glitch does not occur, and Knocka continues to fall off-screen in the water. In the American version of the game, it is possible to bypass the first toboggan by throwing Dixie above it, as well as an invisible blast barrel floating above the toboggan. In other versions of the game, a second blast barrel was added above the first one to make it impossible to bypass the toboggan. 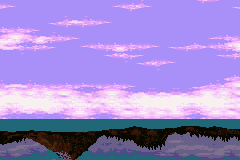 In the GBA version of DKC3, in a river level, the music is different whether you're above water or underwater; while above water, birds and other ambience is heard, and while underwater, a harp melody is played. When selecting Enchanted Riverbank in the sound test in the American version, both songs are played at the same time, resulting in considerable sound channel overlap. In other versions, this problem was fixed so that only the underwater theme is heard. In the sound test, the song that is played at the beginning of Stampede Sprint is called Banana Queen in the American version but Jungle Ambience in the European and Japanese versions. Jungle Ambience makes more sense, as the music is heard in a jungle, not when seeing the Banana Bird Queen. Interestingly enough, despite the fact that the European English name is Jungle Ambience, the European Spanish name is Reina Plátano. This literally means Banana Queen, and it is similar to the American English name, as opposed to the European English name. 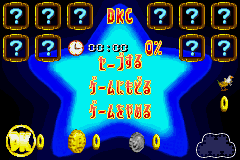 In the American version, the pause screen (the one that is accessed from the world map) has a red and yellow star in the background. In other versions, this star is blue. In addition, the font for the various options is different among all versions. Like the other two DKC games for GBA, the European version has 5 languages to choose from: English, Spanish, Italian, French, and German. The American version only contains English text, and the Japanese version primarily contains Japanese text. Enter MUSIC in the Cheats screen to open the game's Music Player. This page was last modified on 29 September 2018, at 11:13.